Happy Monday! Why is it happy?! Because there is a new Genius to get to know! This week it's . 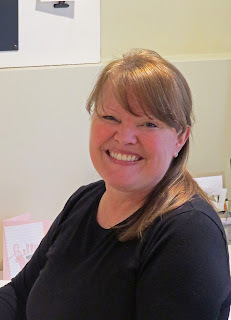 . .
Michele is relatively new to the incredible world of cardmaking but she's already shining bright. Her CAS style is absolutely fantastic. I love her clean and elegant cards as much as I do her super cute ones. All that and she's a lovely person with a sense of humor I genuinely adore. You can check out all her goods on her cheeky little blog called I Card Everyone. I am Michele Ferguson, a.k.a. I Card Everyone, and I live in Spring Lake, Michigan, USA – very near the shore of Lake Michigan. I am still rather new, and still finding my style. I’d have to say I lean towards CAS - I’m scared to death of layering – yikes! Dies, dies, and more dies... I will not/cannot seem to stop buying and using them! I adore the sets that come with coordinating stamps to emboss, watercolor, then die-cut – fabulous! Julia Roberts – in my dreams ... Sally Fields - if I’m being realistic!! I cannot swim – see question 1 for the irony. 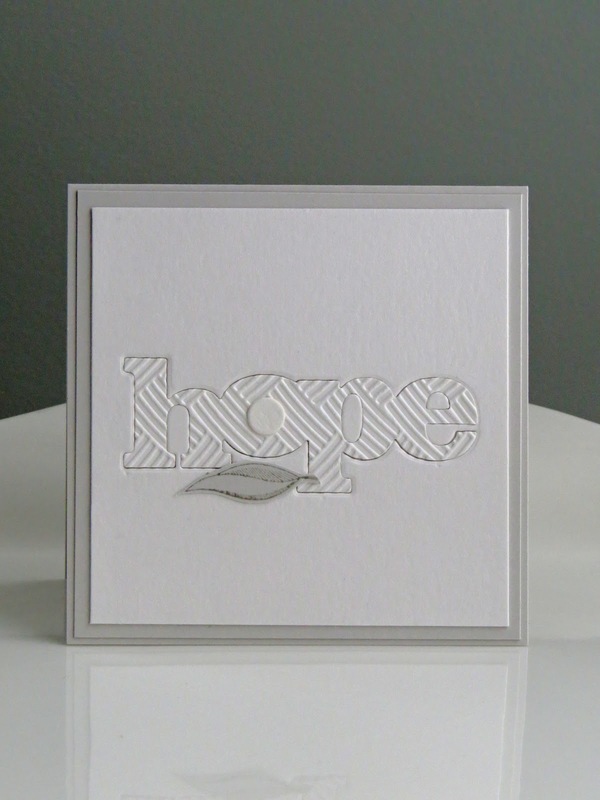 Yes, this is a completely gorgeous white on white card. How do you even do that? How?! Michele tell me your secrets! I love the pop of black and silver. Now she's just showing off. That amazing texture on the sentiment with a sparkly accent. Amazing. Soft watercoloring and embossing. Those roses are stealing the show for sure. I'm not sure if I've ever told you guys this but I let the Genius pick whichever cards they want featured. Clearly Michele was trying to give me a challenge. :) It's alright, her gorgeous creations are worth it. I was immediately taken in by the watercolor roses on Michele's third card. I was drawn to flowers. try not to fall out of your chair. I used a digital image called Petals in a Teacup from A Day For Daises which I absolutely love. I wanted to keep with the silver/white theme Michele has carried through out her cards. 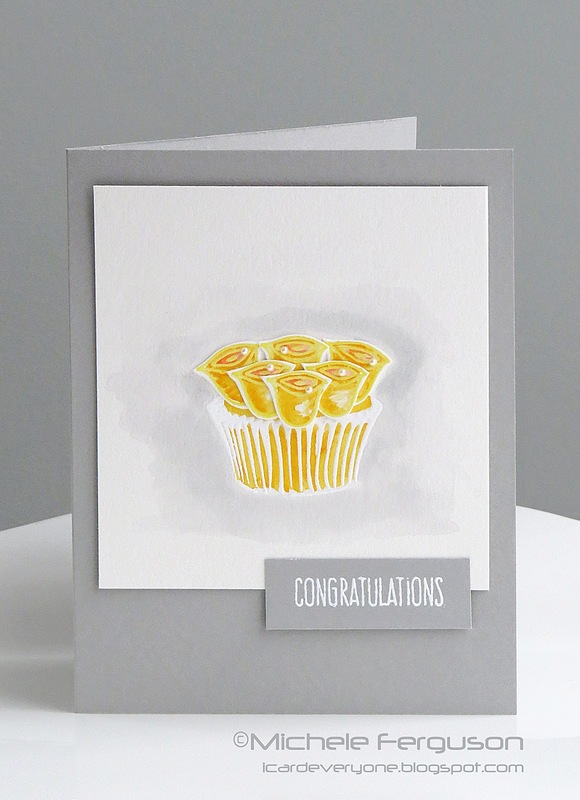 I loved the texture you created with the embossing on the first card and the sentiment on the second card. I started off by using the Leaf and Flourish stencil from Hero Arts. I mixed some white embossing paste with some Silver Lining ink from WPlus9 and applied to a white card stock panel cut a little smaller than my card base. I concentrated the application to the middle. once it was dry I spritzed the cardbase with some Shimmer Spray also from WPlus9. I colored the flowers using copics and then trimmed them out. I used a Memento black tuxedo marker to go around the edges. I die cut a Congrats sentiment from Hero Arts Stamp and Cut line using some sparkly black paper to get the same pop of black Michele got in her first card. I added the flowers with dimensional adhesive and called it done. So happy to see Michele here! I am lucky enough to have little chats with her and we enjoy each other's humour! Your case of Michele's card/style is amazing! Truly! Love the stenciled/paste background and your flower petals have beautiful colour and depth. Bravo! I didn't know that little tid-bit that the genius picks the cards! This would have been a huge challenge for me...but you ROCKED it! Super card and I love your Genius and her work too! Have a great week! Wow wow wow!! I love Michele's work and she is truly a genius in card making. Her designs are always so clever, so glad to see Michele featured here. To your card, GENIUS!! It really combines all the three cards. Love the yellow flower against the grey embossed background. Kelly! Wow!!! I just knew you'd pull out those magical Copics! I LOve how you were inspired, and how you've combined all three in some way. Still can't believe this, Kelly... thank you, thank you, thanks a million times! And to everyone who happens to stop by - be ready! YOU could be next!!! Wow, what a fabulous card. I made my way here from Michele's blog, and and so happy I did. Adding you to my lists of visits. Such gorgeous stuff. So happy to see Michelle featured here ...Her cards are so beautiful and what a totally gorgeous Case of her card Kelly ..love it !!! Oh my!! I am going to have to check out Michelle's blog. I love her cards that are featured!! I love your CASE too. Stunning coloring and that background-so fabulous. Once again, you are my hero!!! Wow. Your case of Michelle is just stunning. Mad mad coloring and casing skills. I am a HUGE fan of Michele's, she and her cards are genius!! So happy to see her featured here, she's one special lady in my book. And your CASE card is...well...GENIUS!! Gorgeous coloring and I love the way you've pulled her three cards into one. Fabulous!! 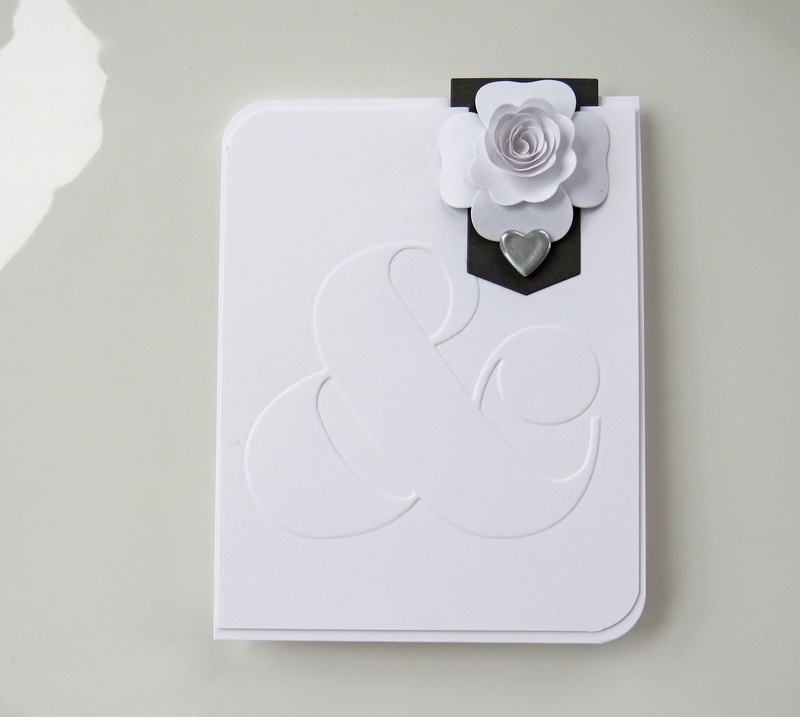 Fantastic CASE of Michele's gorgeous card, Kelly! I've been following Michele for a while now, and it's no surprise she made it onto your (CASE)ing Genious blog feature - she's amazingly talented! Michele's cards are gorgeous! Thanks for introducing her. I love your CASE with the softly stenciled background and the pop of the yellow flowers! Great idea to edge them in the black. It makes them pop off the page! GORGEOUS Kelly, I love your take on Michelle's cards! And Michelle!!!! Your white on white is utterly superb! SO beautiful!!!! A- MAZING!!! CASEing Michele is pure genius and you have done such a phenomenal job of portraying her style while still so eloquently capturing your own style - this is so lovely and not just because I love Yellow!!! Excellently done!! I've been following Michele for a while and have even crafted with her. I'm glad she sent me here to see what you did CASEing her cards. Fabulous is the word I'd use, especially since you combined all three of hers into one of yours. Michele is awesome and I am so happy to see you CASEing her! Kelly, your card is super beautiful and a perfect CASE. I am totally smitten with Michele and her amazing creations...so happy she is your Genius this week! And, your card...Absolutely GORGEOUS, Kelly!! !